GPX Viewer can view GPX files exported from many GPS devices and other apps such as our Road Trip Planner app. Note: you can edit GPX files, but you can’t save your edits. 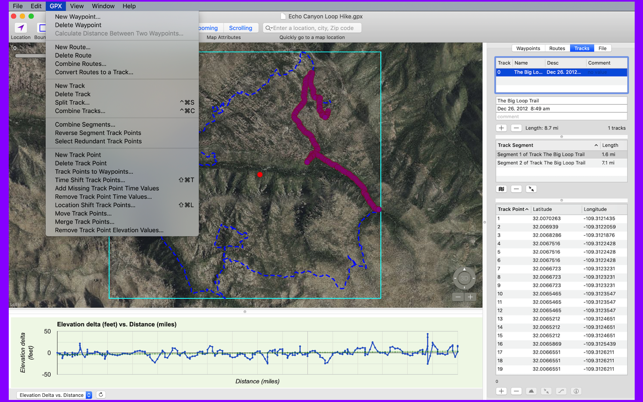 To edit and save GPX files please use our GPX Editor app available from the Mac App Store. - Open and edit multiple GPX files. - View track charts of elevation, distance, and speed. - Copy waypoints, routes, tracks and file info to the clipboard in text format. - Add new waypoints, tracks and track points. We also have an iOS version of the GPX Viewer with a similar name. 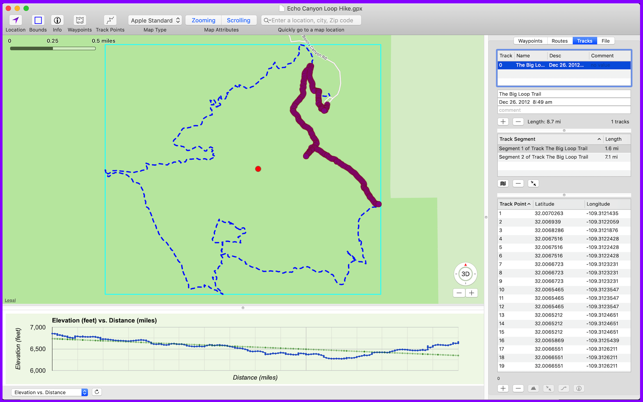 Excellent GPX Viewer with Apple Maps and Openstreetmap (OpenCycleMap,Thunderforest Outdoors) integration, and tons of features like displaying elevation charts, weather, webcams and street view for any waypoint, editing tracks and waypoints etc. An option for map tile caching and custom tile providers would make GPX Viewer even more useful (maybe also an in-app purchase to upgrade to the „complete“ GPX Editor). There are many web tools to view GPX files. This tool does not provide more features than these free tools. You even can’t change the color of a track!